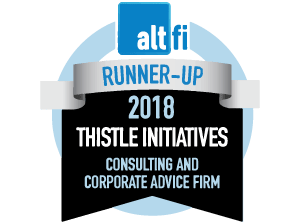 Resolution Compliance Limited, a Thistle Group company, is seen as one of the UK’s leading network for financial innovation having specific experience in Crowdfunding, P2P lending and investment management platforms. Bringing years of industry experience, Resolution provides a total network solution tailored to your offering. Their team of experts offer hands-on and time efficient services which ensure our clients can successfully navigate and fulfil regulatory requirements whilst continuing to thrive as a business, providing ongoing support in an ever-changing landscape. Download our brochure here. Searchlight has long been widely recognised as the UK’s leading provider of insurance technical and insurance management training. They were the first organisation to be accredited with a certificate of excellence for training providers by the Financial Services Skills Council and are a recognised training provider for the Institute of Leadership and Management. Searchlight has recently become part of the Thistle Initiatives group of companies and their commitment to technical excellence, practical training solutions and high standards of customer service make them an excellent fit. Whether you are looking for training support with technical, regulatory, leadership, sales and marketing, professional or even IT skills, delivered face-to-face or via e-learning, Searchlight can offer a competitively-priced, market-leading solution. Click here to find out more. Vitale Digital is a full-service digital marketing agency made up of experienced marketers, developers, content creators and data crunching creatives who love the challenge of getting their clients seen, heard and remembered within their markets. “The best part of what we do is partnering with our clients to achieve results and nothing is better than getting an update from a client when they get their return on their investment.” Vitale Digital specialise within the Financial Services, Construction and Technology sectors with case studies and testimonials to back up claims of digital prowess. Vitale Digital’s core services are; website design and build, email marketing, social and SEO, branding and design and digital marketing strategies. Medici Legal is a boutique law firm focused on supporting disruptive and ambitious financial services businesses and Fintech entrepreneurs. Because we specialise in Fintech, we can offer a professional, experienced and cost effective alternative to full service law firms. We support companies involved in; P2P, property crowdfunding, robo advice, insuretech, and regtech. Medici Legal deliver pragmatic business solutions and solve complex problems within a dynamic market and an evolving regulatory environment. Our personal approach helps us gain a deep understanding of the requirements of our customers, and help us to support them as they disrupt the status quo. 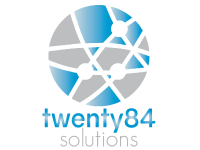 Focusing on FinTech and Financial Services, twenty84 delivers recruitment solutions to businesses by providing retained, permanent and contract resourcing services across risk, compliance, finance, and fraud. Using their expert industry knowledge and years of recruiting experience, they know how best to meet the challenges of a competitive marketplace by using innovative methods to access talent. They build strong and long-standing relationships and networks in order to ensure the highest standards of delivery. They understand the importance of cash flow for new and growing businesses, which is why we have developed a flexible approach to our pricing structure, and offer a 3-month plan alongside our traditional pricing terms. Twenty 84 are also able to offer our clients the option to request that candidates carry out video interviews, facilitated by us using our innovative and secure video interviewing platform, which you are then able to view and share with colleagues in order to enhance the CV selection stage.